Essential Property Maintenance is a full service lawn, garden and landscape contractor based out of Calgary, Alberta. 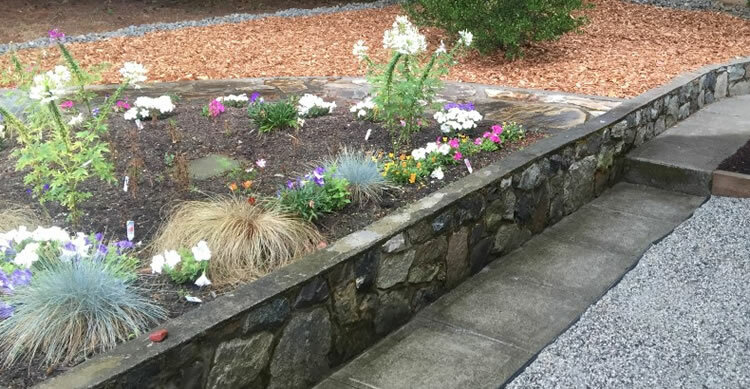 We specialize in maintaining and caring for gardens on commercial properties such as hotels, restaurants, malls and more. We also offer garden maintenance for large residential properties and estates that require the care of a professional. Schedule Your FREE Calgary Gardening Services Estimate Today! Garden maintenance can take a lot of time and attention if you have a residential property with intricate gardens, a commercial property or residential development in Calgary. If you want your gardens and landscaping to look healthy and vibrant throughout the shorter growing season then you’ll want to have it maintained by a professional landscape gardener. We maintain several client gardens in Calgary for both commercial and residential clients. It’s the reliable and meticulous garden care that we do that contributes to the beautiful results we’re able to achieve with our clients’ gardens. We will work with you to determine the appropriate maintenance schedule. We show up on the scheduled days and maintain your garden as promised. The end result is a well maintained, vibrant garden that will enhance your properties appearance. The final cost of maintaining your garden will be determined by the size of the garden, the amount of weeding and feeding, the cost of your plants and flowers and finally the labor to maintain and keep a watchful eye on everything. We’ll only be able to provide you with an accurate estimate for maintaining your gardens after a thorough site inspection.